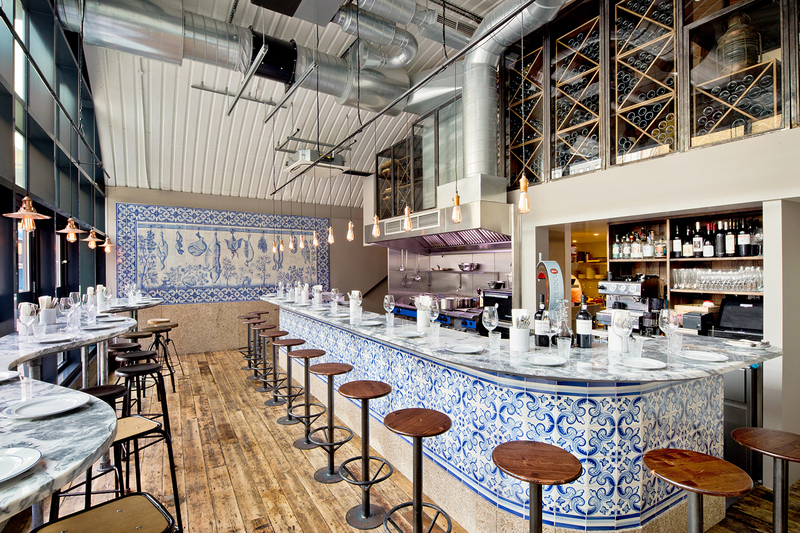 Bringing the terra of Portugal to the arches of Bankside, Bar Douro is a rustic bar and restaurant, which draws inspiration from the traditional cervejarias and tascas of Lisbon and Porto. Serving up a contemporary take on Portuguese cuisine alongside expertly sourced regional wines, Bar Douro is located in Flat Iron Square, a new development with bars, restaurants, weekend flea markets and a live music venue owned by a member of Mumford & Sons. Designed to have a modern look with traditional influences, guests sit at a pair of Portuguese marble-topped counters accommodating up to 30, with views of the busy open kitchen at one end and Flat Iron Square through floor-to-ceiling windows at the other. The walls are adorned with blue and white tiles, while bare-bulb light fittings provide ambient light, a perfect setting for dinner. The mastermind behind Bar Douro is Max Graham, who spent his childhood in Porto and the past few years running sold-out Portuguese pop-ups in the UK. Inspired by his travels, Bar Douro’s menu runs from Petiscos (snacks) to small plates such as Piri Piri Chicken Wings, Octopus with Sweet Potato and Iberico Port Ribs with a Ruby Port glaze. 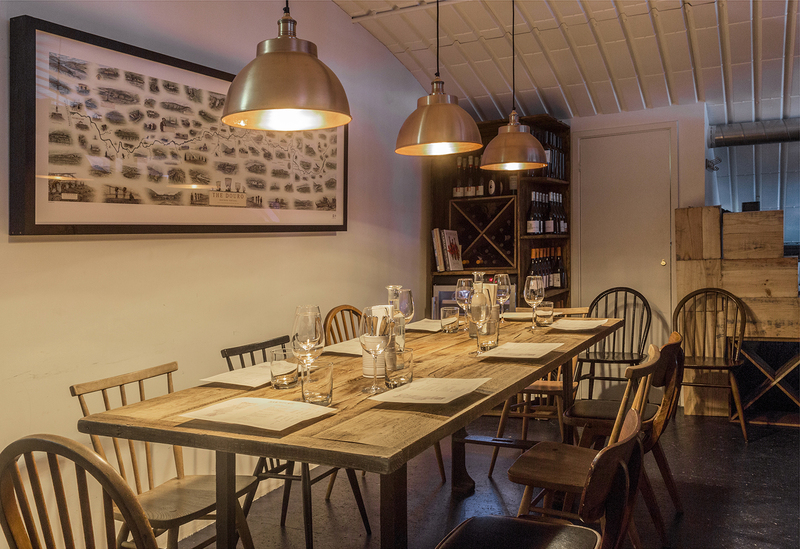 Alongside their menu is a carefully curated Portuguese wine list.